Rainbow Chimes is an early childhood education and care center. We offer for infants, toddlers, preschoolers, and offer pre-K and full-day Kindergarten. A child who starts off their life and education at Rainbow Chimes is taught according to the HighScope Curriculum. This curriculum is based on solid educational psychology and has been in use for over 40 years, and the positive results are clear. You can read about some of them in our last blog. The reasons behind the success of HighScope is the topic of today’s blog. Children are often comforted by a predictable routine, especially children whose home lives might not rest on routine. Knowing what to expect helps children adjust to changes and creates less stress than an unpredictable day. 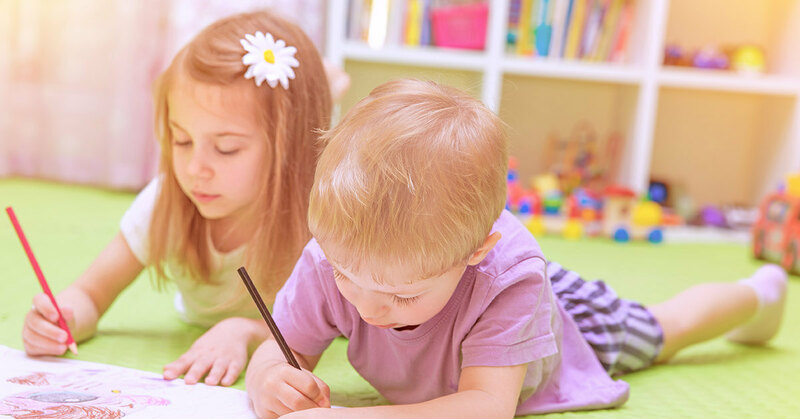 Children follow a pattern in their activities, This pattern is that they first plan their activity, then they do the activity and then they review it. The type of thought process develops judgement and critical thinking skills. In HighScope curriculum, adults do what is called scaffolding for children. This means they support new activities until the child shows competency in it. Then the adult backs off until more help is needed, and then steps back in. This adult-child interaction gives the child confidence, help and validation, in addition to helping the child develop problem-solving skills. Teaching children to resolve conflicts in a non-violent way is an important aspect of HighScope Curriculum. We’ve covered this in a previous blog. Read that blog here. Peaceful conflict resolution is a skill that all studetns should be taught, but most curricula pases over this important life skill. We are confident that we offer a great early education to our delightful students. If you’d like to tour our facility, contact us here.